Looks like Adobe Omniture Site Catalyst has a bug where there is a Site Visit count discrepancy in current month and 52 weeks prior (previous year). 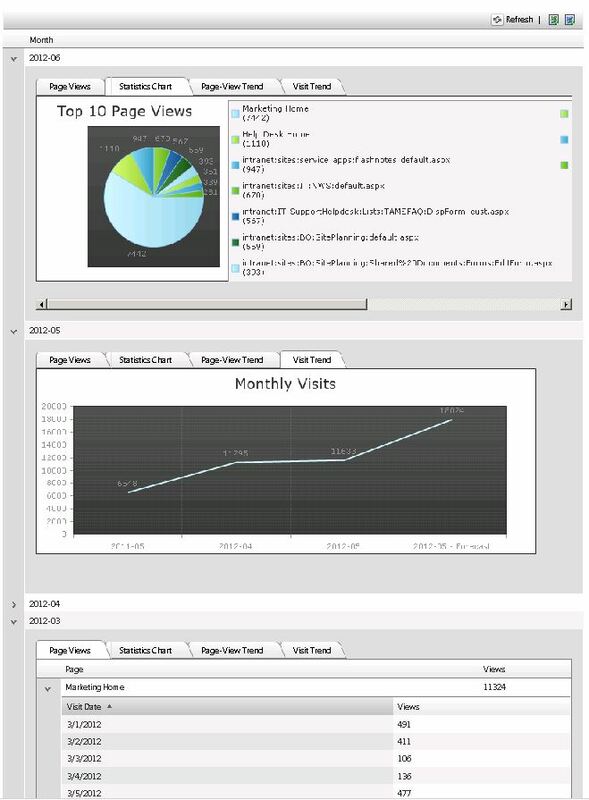 I am trying to create my own dashboard for site visits. So I am using the API to fetch the data off of Omniture. There appears to be a discrepancy in current month and 52 weeks prior visit count. Please see attached image file. 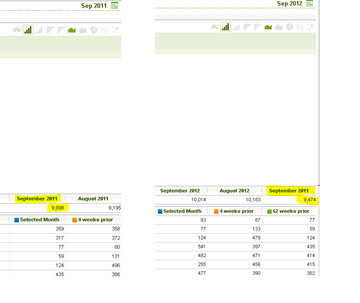 If I select current month as Sep-2012, it shows me that the visit count in Sep-2011 was 9474. When I select Sep-2011, it shows me the total as 9898. Why is it so? I get the same wrong data when I try to fetch it through API. Though, if I do calculations of my own after fetching each day’s data from Omniture and run some SQLs, I get 9898 as correct and 9474 as wrong.